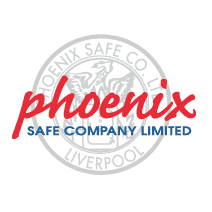 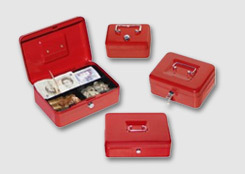 THE PHOENIX TARVOS UF0600 SERIES square door underfloor security safes have been designed to meet the requirements for a secure yet hidden safe, and come with 4 different cash cover options. 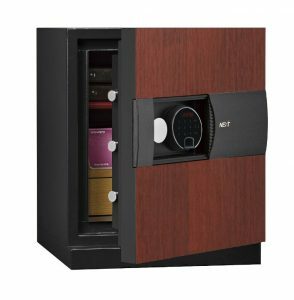 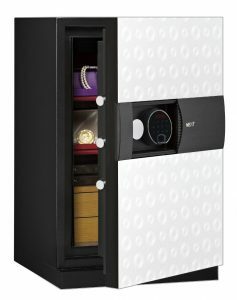 SECURITY PROTECTION – The UF0663K is a 12" cube with deposit facility and provides cover from £6,000 cash up to £60,000 for valuables. 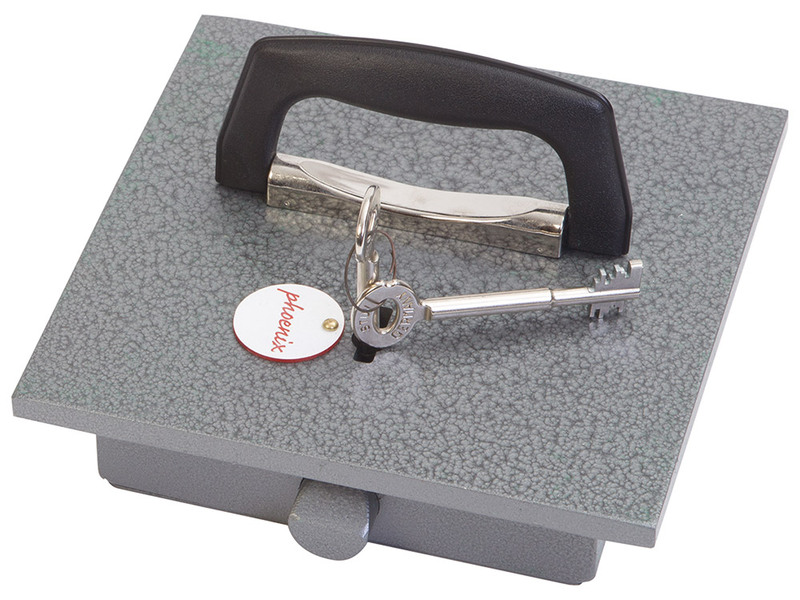 LOCKING: Fitted with a high security double-bitted Mauer 71111 key-retaining key-lock and supplied with two keys. 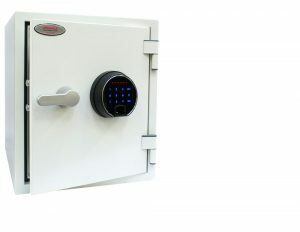 The lock is protected by a hardened plate and the door is fitted with a spring-loaded front bolt and deadbolt for extra security. 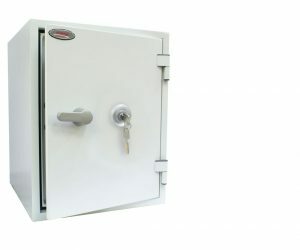 SPECIAL FEATURE: The UF0660 is supplied with a high security double-bitted VdS Class I key-lock. 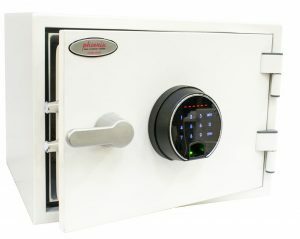 Each unit is supplied with 2 keys. 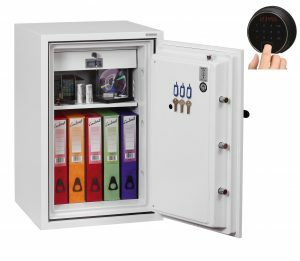 DOOR CONSTRUCTION: The UF0660 has a hardened 6mm thick plate and two 25mm diameter spring loaded front bolts, two 20mm diameter spring loaded re-lockers that will be set off if the lock is tampered with, and a 25mm diameter deadbolt. BODY CONSTRUCTION: The neck of the Tarvos is 4" high and constructed of 5mm thick mild steel tube. 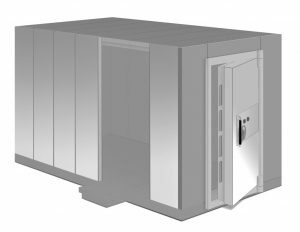 The cube has a 10mm thick top, 2mm thick body and 3mm thick base, all made from mild steel. 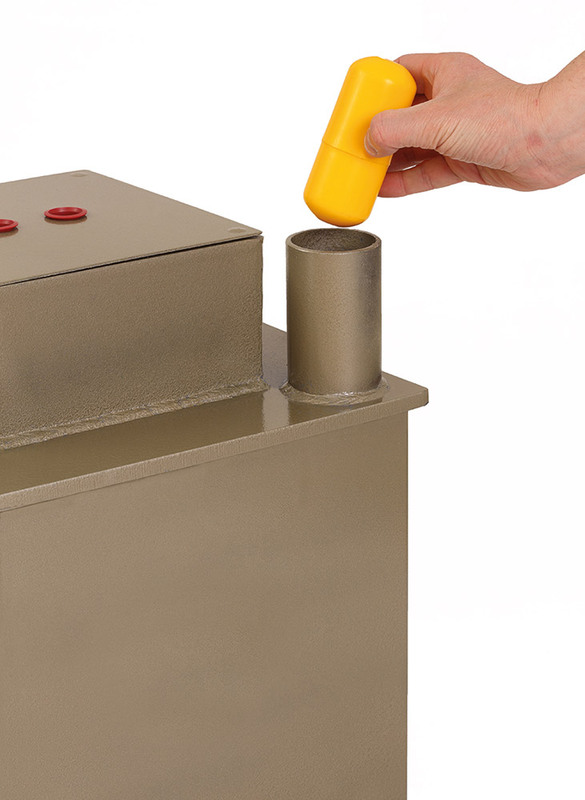 SPECIAL FEATURE: The UF0600KD comes complete with a deposit facility that incorporates an anti-fish device to prevent retrieval through the deposit tube, and is supplied with a selection of deposit capsules. 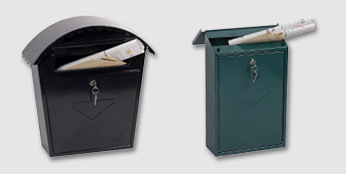 INTERIOR: The Tarvos has a fully flocked interior to protect valuables from damage. 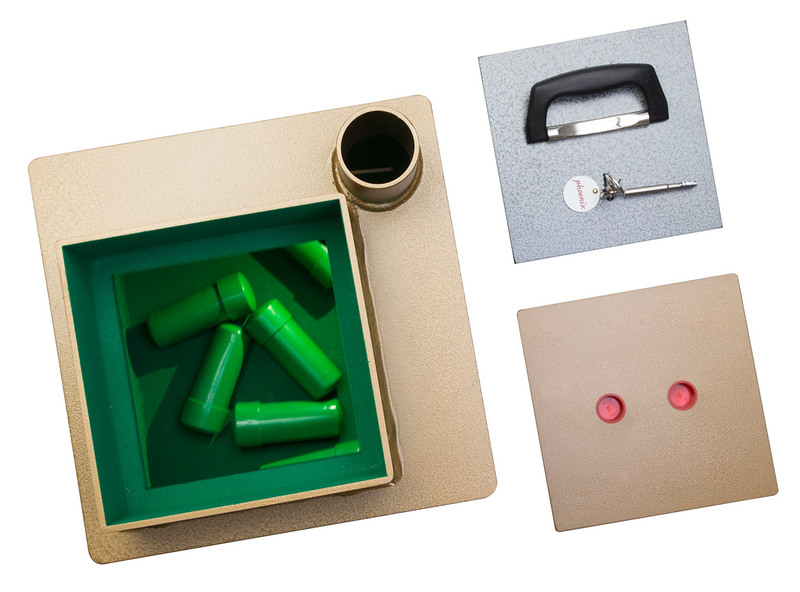 FIXING: Fixing instructions are available to fit the unit into a solid concrete floor. 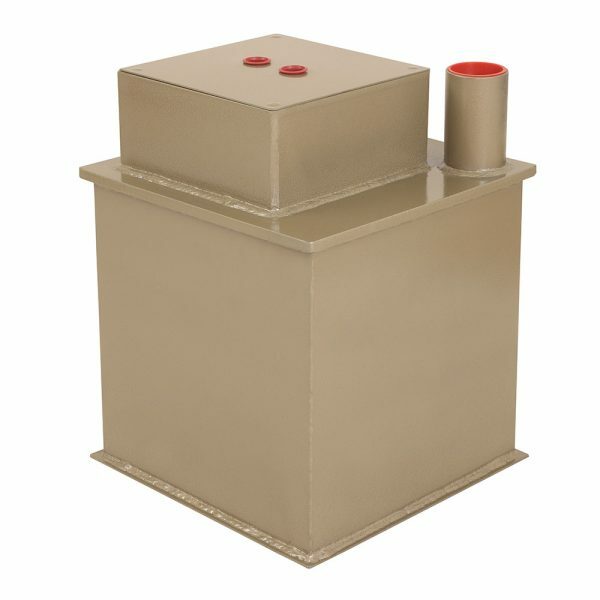 COLOUR: Finished in an attractive Gold Hammer paint.